Dinoceros, Dinoceros, you’re really rather large. You are bigger than a sofa. You are bigger than a barge. And when I know you’re coming over I cook lots and lots and lots. You swam us once to Paris and we saw the Sacre-Coeur. We ate cheese with bread and butter, but in France they call it beurre. We ate so much that afternoon I think I nearly died. I fell asleep before dessert. You fell asleep outside. We walked across the beach that night. You showed me all the sky. I said the stars were tiny so you flew us very high. We left the planet Earth behind, and with it night and day. We swam through Saturn’s rings and then we flew the Milky Way. I always thought that Space would be a freezing empty place. But now I know it’s bright and shines like warmth upon the face. Moon Pie I remember well. It made my tummy glow. I climbed upon your scaley back. You flew us both away. Half way home I fell asleep – a dreamy greenish grey. I woke up back in be and never told, so no one knows. Did it happen? Why not ask the sand between my toes. 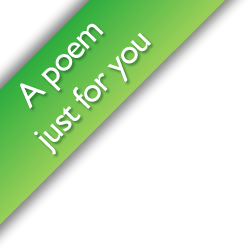 f you like the poem, please take a moment to leave a comment for FaceBook below so your friends will see you've been here.